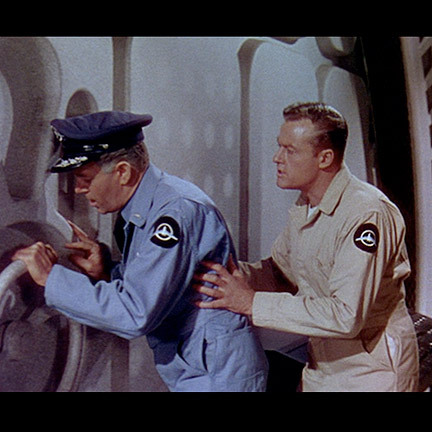 Conquest of Space (Paramount, 1955) Black circular patch with white winged space ship logo embroidered in the center designed by Chestley Bonestell. 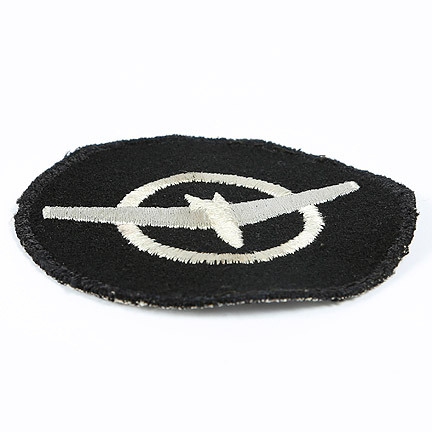 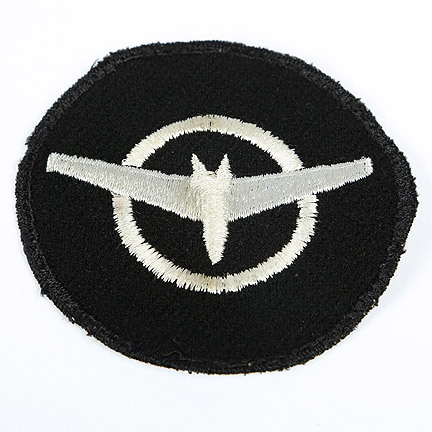 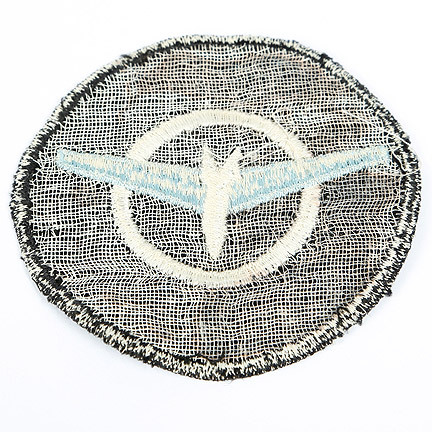 This patch was worn on the left shoulder of the fatigue jumpsuit. 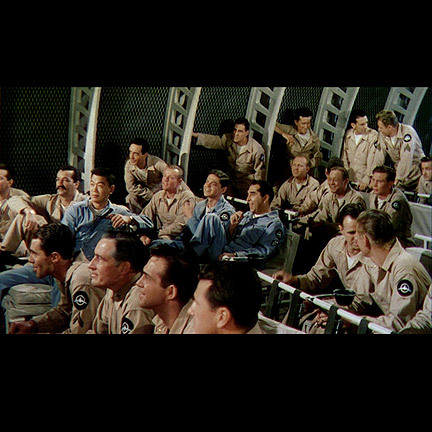 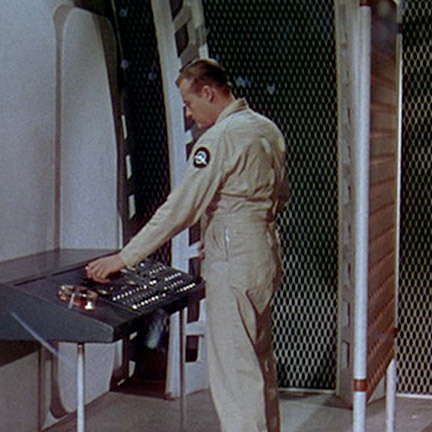 Conquest Of Space is one of the most respected space films from the 1950’s. 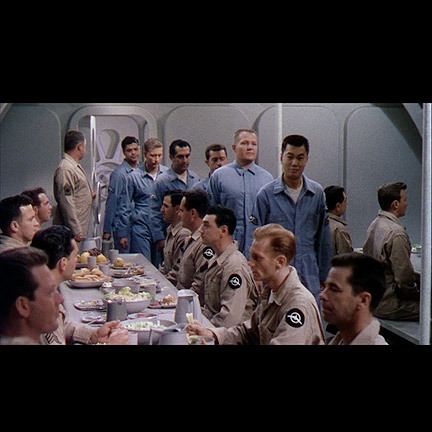 The films then realistic approach featured the then-futuristic designs of Chestley Bonestell, who had completed extraordinary design work envisioning space travel for Walt Disney, NASA, and Collier’s Magazine.